The perfect shirt for the busy mom! Have you ever been out with the kids and had someone say “wow, you’ve got your hands full!”? 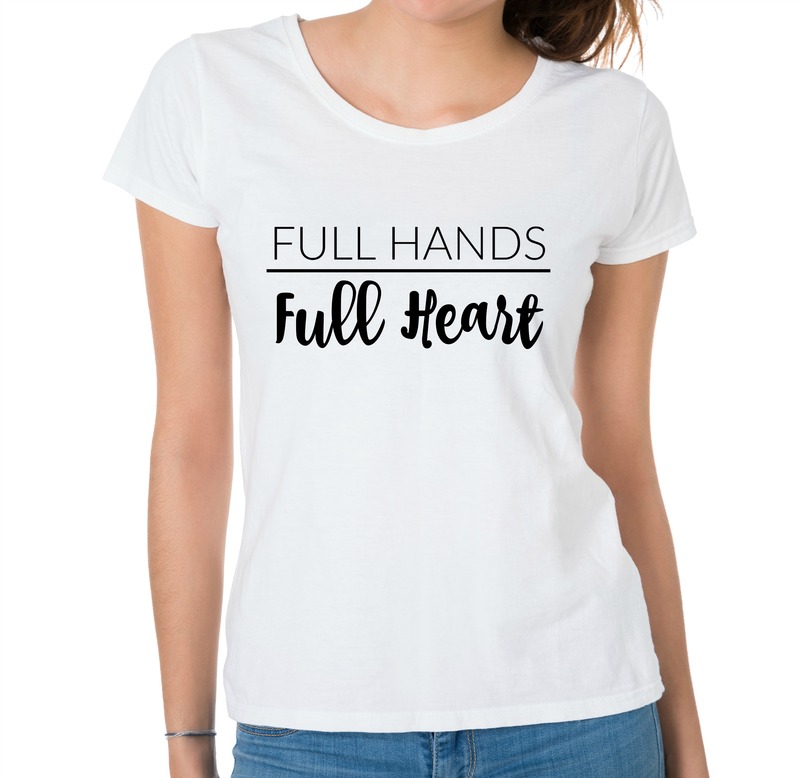 Well now you can respond – Full hands is a full heart!! Moms of multiples and moms with big families can totally relate to this – great shirt to gift for Mothers day too!